Remember when they said the Prius could only be loved by the Birkenstock-wearing, Zodiac-reading, granola-crunching hippies of the world? 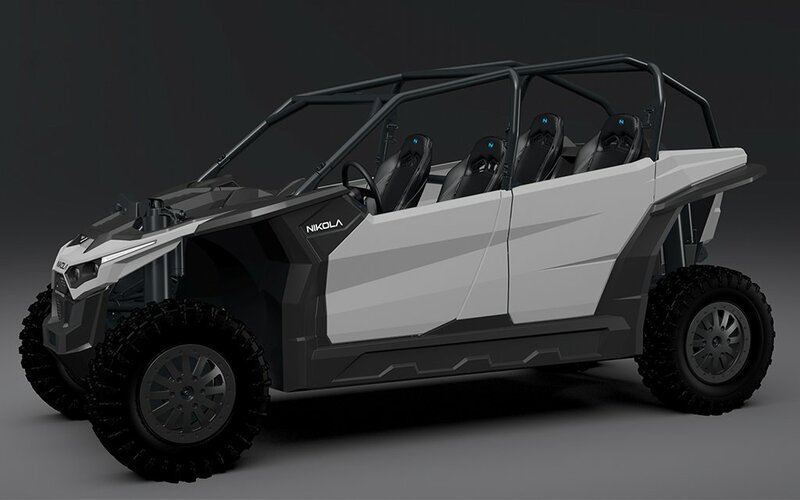 Because this all-electric UTV, the Nikola Zero, is here to dominate the adrenaline market. 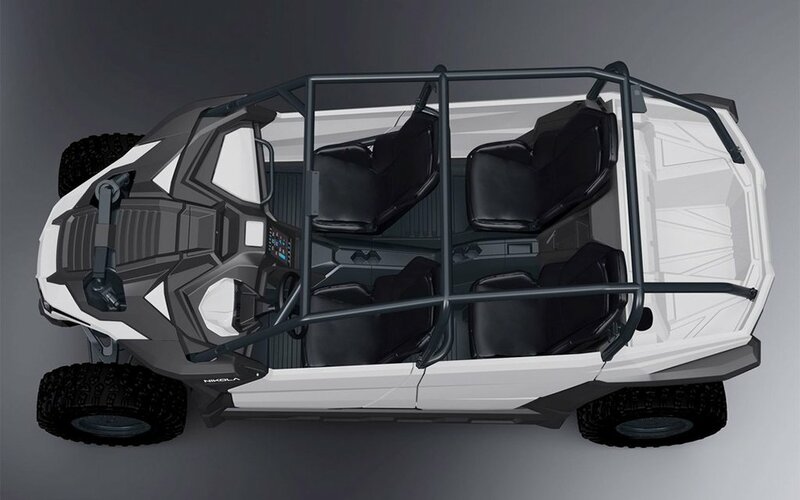 The Utah-based company just announced their plans for a four-seater packing 415 horsepower and 3,675 lb-ft of torque. Or if you’re looking to go full maniac — because why not? — there’s the ridiculously aggressive 555 horsepower version with 4,900 lb-ft of torque. To put that in perspective, that’s more ponies than a Mustang GT, more torque than an M1 Abrams tank and, with a 0-60 in 3.9 seconds acceleration rate, that’s on par with a damn Aston Martin DB11. 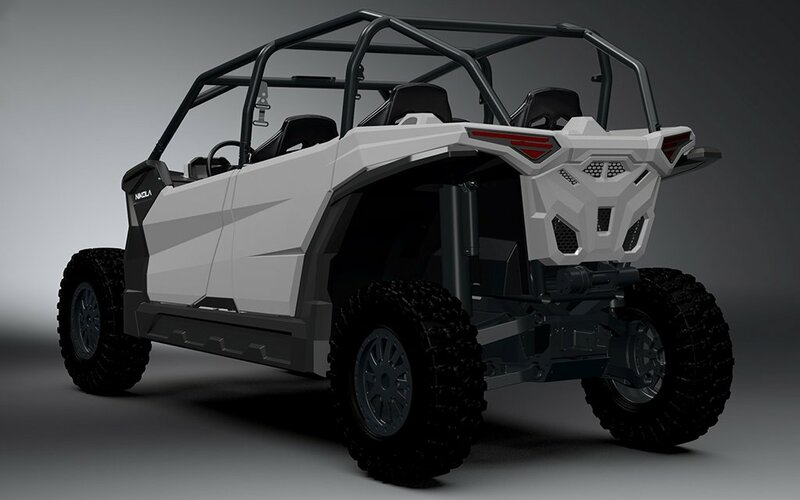 The manufacturer claims that the Zero could annihilate five gas-guzzling UTVs in a tug-of-war. That’s what happens when you put an electric motor in for each wheel. And to keep adrenaline junkies from being complete idiots, a computer scans each wheel 30 times a second to measure torque and adjust accordingly. Plus: the Zero is rigged with antilock brakes, stability and traction control and electric power steering to keep things level-headed even on highly uneven ground. In the battery department, the UTV doesn’t disappoint either. There are 75 kWh and 100 kWh versions. But there’s also an impressive 125 kWh model with a 200-mile range, which is more juice than even Tesla can claim. Officially on sale this January, you can reserve your lack of better judgment fun factory on four wheels now for $750. And the deposit is 100% refundable should cooler heads prevail down the line.